If you’ve ever felt sluggish at the end of a long work day, imagine how your skin feels. The morning’s makeup has faded, your T-zone is looking greasy, and your skin feels dull and dehydrated. 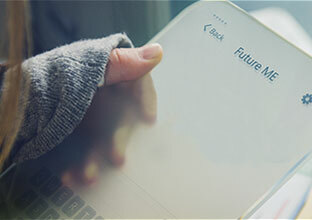 The truth is, because of our hectic schedules, most of us only have time for skincare in the morning and at night before bed, but all those hours in between are stressing out our skin in multiple ways – exposure to harmful UV, pollution, and smoke means oxidative damage begins almost immediately once you step out of the house, while sitting in an air-conditioned office causes dryness and dullness; not to mention the aging effects mental stress can have on your skin. What’s a busy girl to do these days? SK-II has now made it possible to get that much-needed skincare boost during those long hours – without ever having to leave your desk. 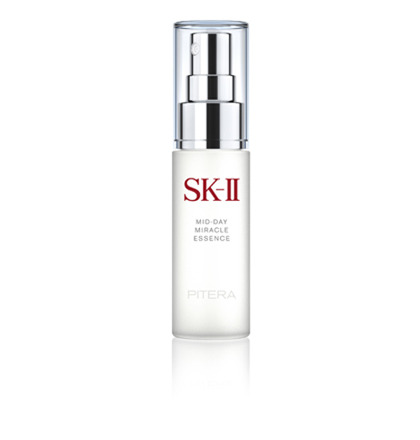 The new Mid-Day Miracle Essence and Mid-Night Miracle Essence are new formulations of SK-II’s signature Pitera™, which both come as convenient sprays to penetrate through makeup and lock in moisture. Need a pick-me-up during that post-lunch slump? The Mid-Day Miracle Essence delivers an instant boost of refreshing hydration, strengthens the skin barrier function, as well as reduces the visible effects of oxidative damage on your skin. Headed out for after-work cocktails or a dinner date? The Mid-Night Miracle Essence moisturizes your skin and gives it a dewy, radiant glow without ruining your makeup, while the cooling sensation soothes your skin after a full day’s worth of damage. Just a single application of SK-II’s new Miracle Essences moisturizes the skin for up to 4 hours, helping to maintain your skin’s clarity as well as strengthen its barrier function throughout the day. For best results, SK-II recommends using the Miracle Essences 5 times daily, as studies have shown that using the Miracle Essence five times a day boosts the skin’s hydration levels by 13.5 times, compared with one-time use. Studies have also shown that when used as part of a regimen with Facial Treatment Essence, Miracle Essences provide an 80% increase in skin’s hydration levels. After 14 days of regularly using the Miracle Essences, the skin is 4 times more hydrated and 1.3 times more translucent, while wrinkles look 75% less visible. The evidence is clear – SK-II’s new Mid-Day Miracle Essence and Mid-Night Miracle Essence are day-to-night essentials for busy girls-on-the-go. 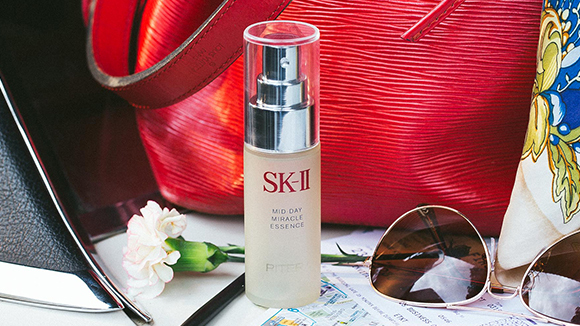 Easily carried in your work handbag or discretely tucked into an evening clutch, SK-II’s Miracle Essences ensure you can have gorgeous-looking skin anytime, anywhere.